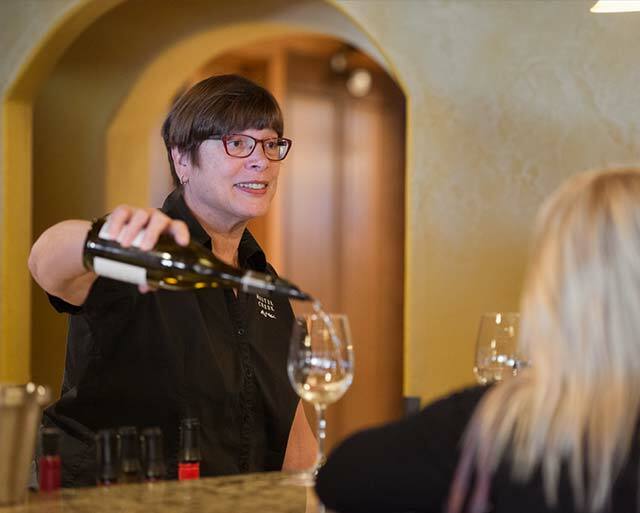 The Hester Creek tasting bar offers complimentary wine tastings of up to 5 wines. At various times throughout the year our premium wines can carry a small tasting fee of $3-$5, waived on purchase of premium wines. 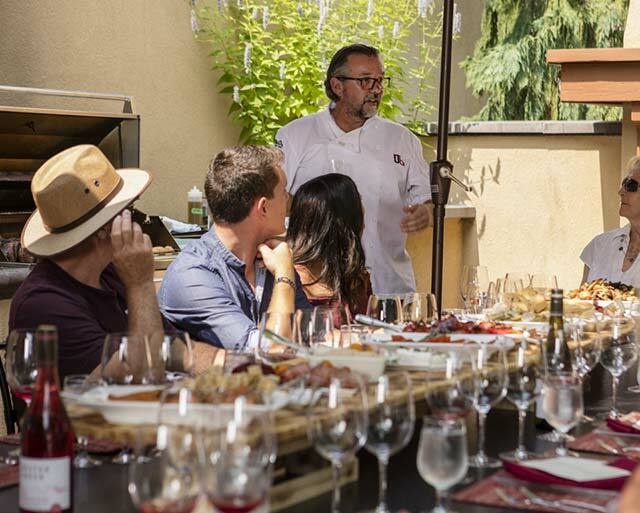 If your group is larger than 8 people, we recommend booking a private tasting or a tour & tutored tasting. This will ensure no wait times for your group and ensure your best possible experience. 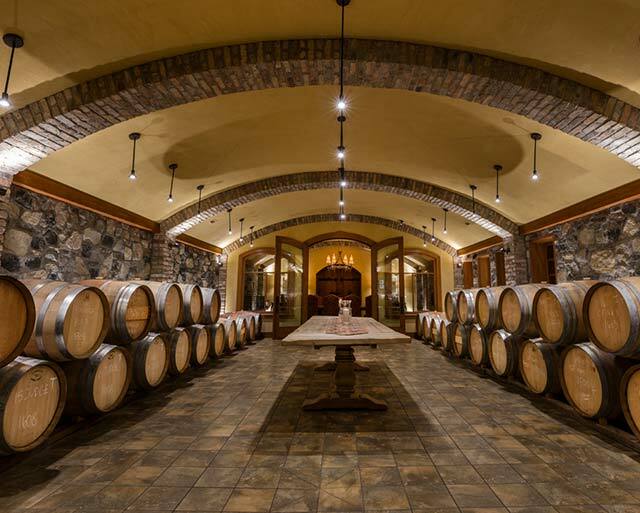 Join one of our passionate wine educators in our barrel room or in one of our private settings and enjoy a wine tasting as they guide you through a selection of our award-winning wines. Generally, groups can enjoy up to 5 wines. Tickets are available by contacting the wine shop in advance to ensure your time is available and is reserved. Contact events@hestercreek.com or 250 498-4435 ext. 201. 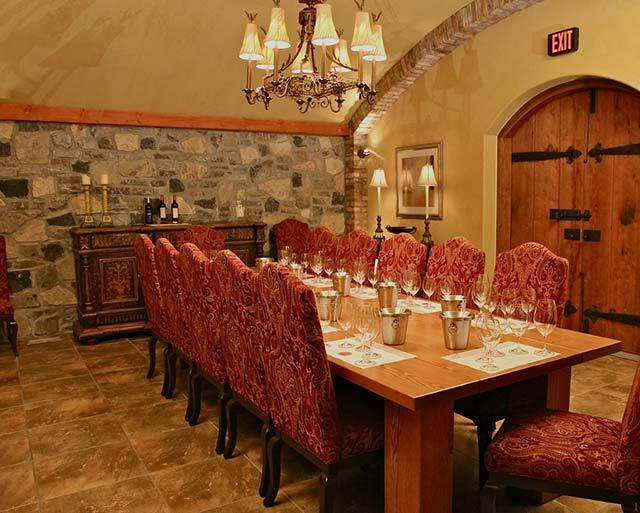 Start with a tour, then sit down in our private dining room with a passionate wine educator enjoying the history of Hester Creek. This tasting will go through our unique and reserve wines including the Judge when available. Please allow 60 minutes for this experience. Tickets are available by contacting the wine shop in advance to ensure your time is available and is reserved, maximum of 12 guests. 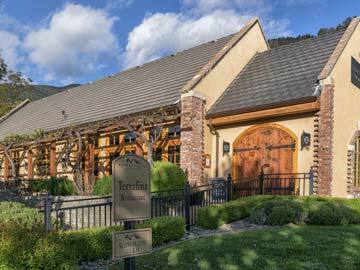 Contact events@hestercreek.com or 250 498-4435 ext. 201. The art of pairing cheese and wine is a very personal and pleasurable experience. 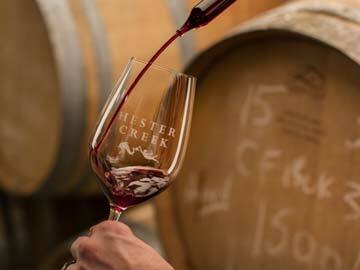 Join us as we introduce you to the world of wine and cheese from Hester Creek’s perspective. Enjoy three unique cheeses, from locally sourced BC cheese makers, paired with our award-winning wines. Available weekends only from May long weekend and offered seven days a week, from Canada Day at 12:30, 1:30, 2:30 and 3:30. Please allow 30 minutes for this experience. 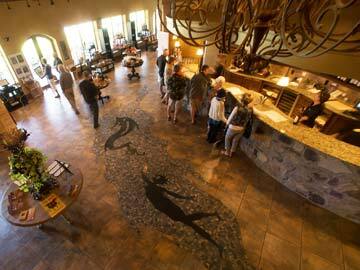 Reservations recommended for groups larger than four. Tickets are available by contacting the wine shop in advance to ensure your time is available and is reserved, maximum of 14 guests. Contact events@hestercreek.com or 250 498-4435 ext. 201. 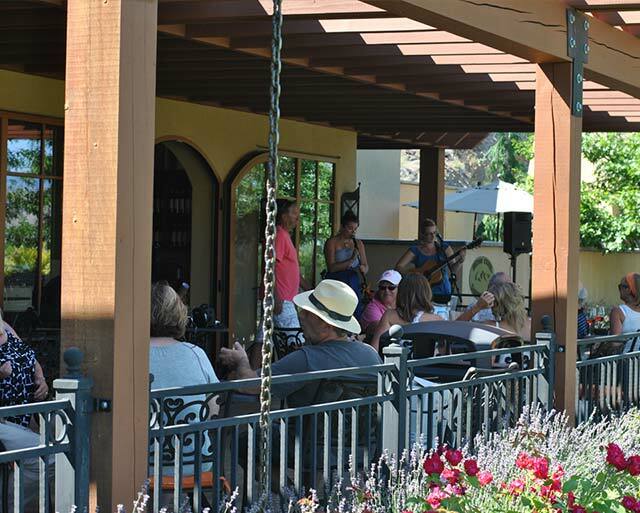 Our Vineyard Patio offers full wine service by the glass or bottle, at our winery prices. To accompany our award-winning wine, we also have daily fresh food offerings that are available in our self-serve deli fridge. The patio is first-come, first served and only food purchased from the wine shop is permitted. Underage guests are permitted, accompanied by an adult. Our Oak Terrace & Lawn is available for picnics and to enjoy our award-wining wines by the glass or bottle. You can also order and pick up food from Terrafina at Hester Creek by RauDZ. The Oak Terrace and lawn areas are self-serve and no reservations are necessary. Underage guests are permitted, accompanied by an adult. 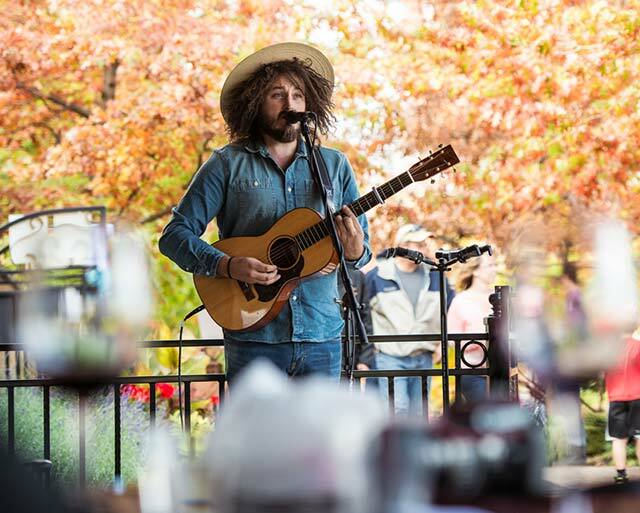 The Okanagan Valley is home to an incredible array of talented and up-and-coming musicians. 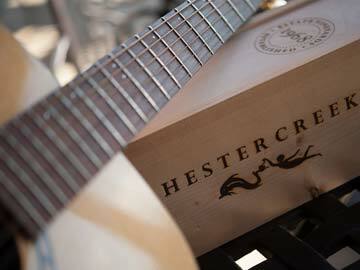 These musicians are carefully chosen to suit the culture of Hester Creek. 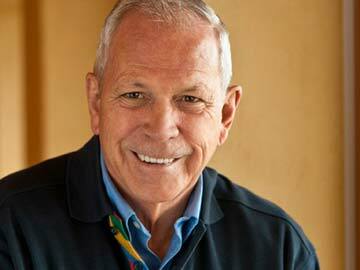 As Director of Hospitality, Roger Gillespie would say, “All things good in life, wine, food and music”. Join us from 1-4 every Saturday all summer long, enjoy local artisan cheeses, fresh deli offerings and a glass of award winning wine. All musical entertainment is complimentary. 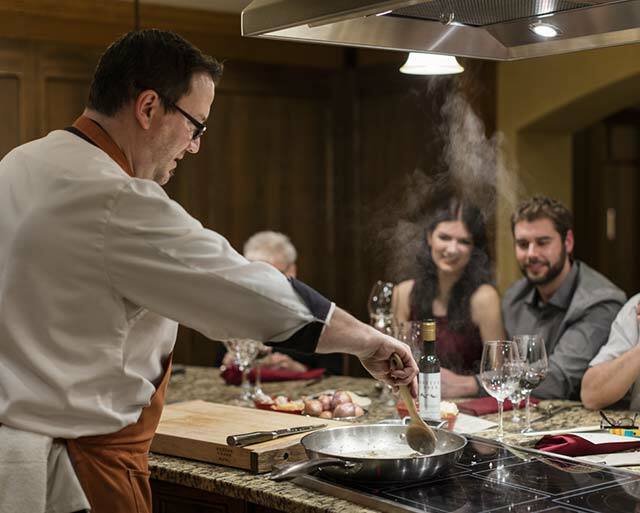 At Hester Creek Estate Winery, we offer you the rare experience of interacting with an acclaimed chef in an intimate setting. 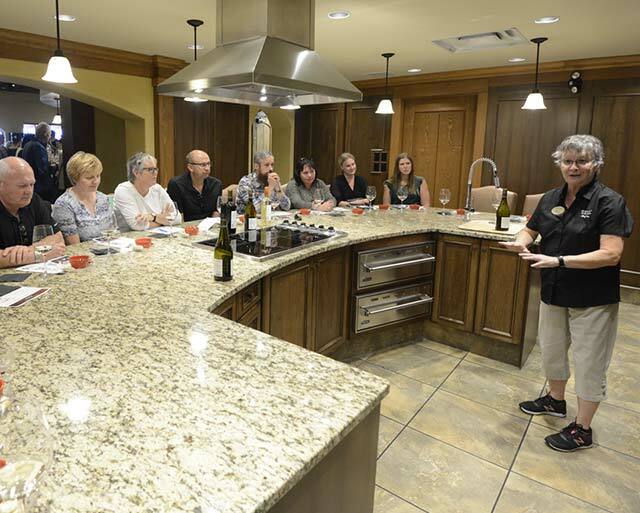 You are one of only 14 guests seated at a granite island in our state of the art demonstration kitchen. Multi-course menus skillfully pair locally sourced, seasonally inspired flavours with our award-wining wines. Watch as the chef prepares each course before you and shares little known culinary secrets. These evenings are not so much a hands-on experience but more of an interactive evening with the chef. Take home the recipes as well as the memory of a truly unique experience. If there are any food allergies or concerns we will happily accommodate. Reception starts at 6:30pm, dinner at 7:00pm. 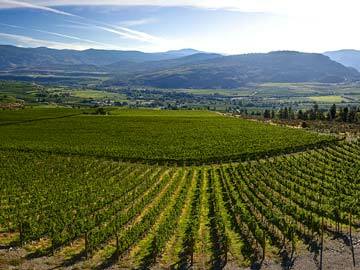 Tickets are available by contacting the wine shop at events@hestercreek.com or 250 498-4435 ext. 201. $120 per person plus tax and gratuity. 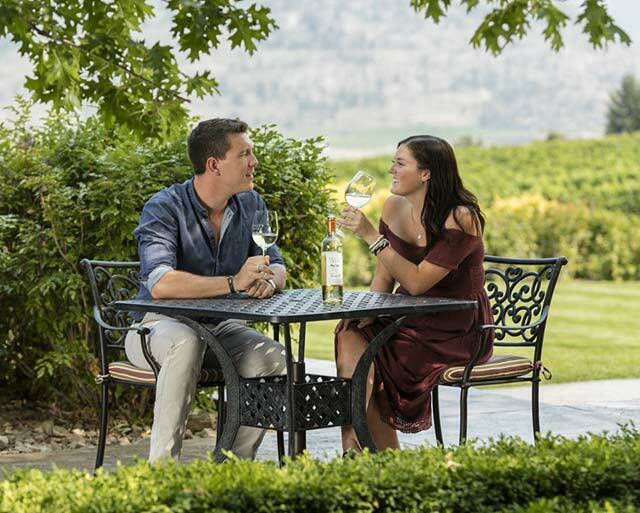 For guests in Oliver and Osoyoos, a complimentary shuttle is available. Enjoy our seasonally inspired, locally sourced, family style barbeque lunch. Tuscan inspired – featuring multiple fresh salads with ingredients sourced from some of our local farmers. 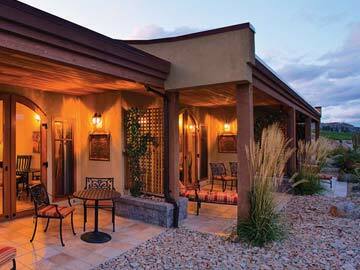 Our multi-course meal is paired with our award-winning wines outside on our private Tuscan patio. Lunches are offered every Friday throughout the summer and can accommodate up to a maximum of 12 people. 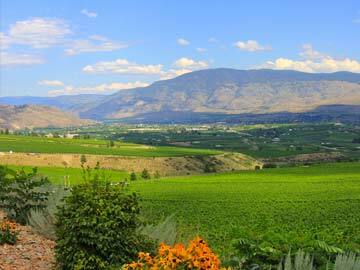 The patio is partially shaded, please be prepared for a beautiful Okanagan summer day; sunglasses, hats and sunscreen! 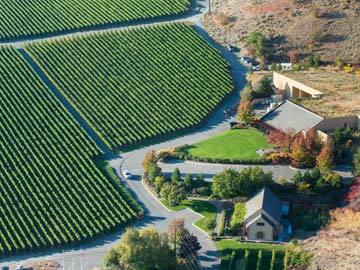 Tickets are available by contacting the wine shop at events@hestercreek.com or 250 498-4435 ext. 228. Ask about our designated driver program!